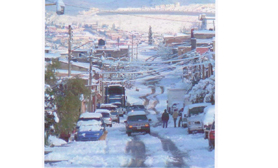 Chihuahua has a Subtropical climate which is most common at elevations between 4,200-7,200 ft above sea level; this climate zone has warm humid summers and an average summer temperature of 68°F. The summer average precipitation is 70 cm (28 in) mostly in the months of: July, August, and September. From November to March there are many rainstorms and snowstorms caused by high elevation and prominent cold fronts. Winter temperatures can reach a low of 3°F. 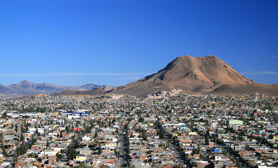 Chihuahua has a semi-arid climate or prairieland which is most common at elevations between 4,000-5,000 ft above sea level; this climate zone has an annual average 64°F and maximum temperatures above of 100°F and lows reaching slightly below 32°F, with a wet season in the late summer and fall. Snowfall is infrequent but does happen from time to time in the winter and frost is common from December to March. The annual average rainfall in the steppe climate zone is about 18.7 inches. 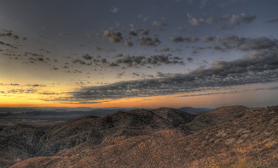 The main Hot Desert in Chihuahua is most common at elevations below 4,000 ft (1,200 m) above sea level; this climate zone tends to have a hot summer at temperatures that often reach 110 °F. Winter is warm, rarely dropping below 32°F. Precipitation averages between 6-10 in per year; most of the moisture falls during the “monsoon” of late summer. 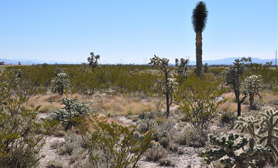 Then the Cool Desert in Chihuahua is most common at elevations below 4,000 ft (1,200 m) above sea level; this climate zone tends to have a mild summer, rarely reaching temperatures over 105 °F. Winter weather varies from mild to cold depending on northern fronts, often dropping below 32°F. Precipitation averages between 10-16 in per year; most of the moisture falls during the “monsoon” of at the end of the summer months.